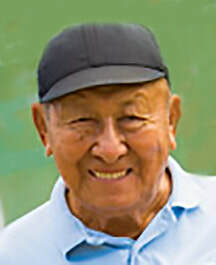 Jimmy Aiona graduated from Hilo High School in 1936 as a three-sport star athlete in football, basketball and track. After graduation he played basketball in various senior leagues in the Hilo area and excelled at the game, winning all-league honors and scoring titles. 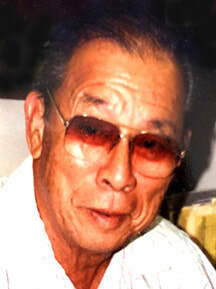 In the 1940’s he served as head varsity basketball coach at St. Joseph’s High School in Hilo for a few years where he also coached a senior league team, Miki Miki, in Hilo. Moving to Oahu in the 1950’s, Jimmy began to referee ILH high school basketball games at the varsity level. He also refereed games for the prestigious Armed Forces League. The league featured many collegiate and former professional players and were often invited to participate in the Rainbow Classic. He also referred games for a semi-pro team, the Hawaii Chiefs, at the Civic Auditorium. 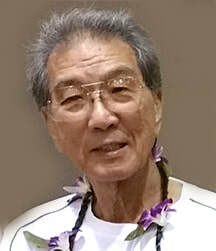 In the early 1960’s, as a member of SHABO (State of Hawaii Association of Basketball Officials), he began assigning officials for both high school and University of Hawaii games. In the mid 1960’s Jimmy created his own association HBOA (Hawaii Basketball Officials Association). He was the founder, trainer, mentor and assigner for all basketball officials. The HBOA assigned officials for OIA, UH Manoa and UH Hilo games. Aiea recreation gym to packed houses. Players consisted of current and former college and professional players. High school players participated by invitation only. Jimmy saw this as an opportunity for local players to improve their game and to give local fans exposure to good basketball. Most importantly, this was an opportunity for training and mentoring his basketball officials, where officials could work on their mechanics and positioning on the court. Rookie refs would be paired with veterans and there would be an instant critique after each half and game. More than just a student of the game, Jimmy had a passion for the game and created a philosophy of basketball officiating that is presently in use today. The advantage/disadvantage concept along with alternating possession were just two of the many innovations he created as he believed officials should be facilitators of the game and not to determine the outcome. Jimmy Aiona passed away in 1983. Roy Chong was the first OIA football commissioner, appointed in 1967 and served for 32 years until his death in 1999. He also officiated ILH football for nine years. coaches and responded to their questions and concerns. Roy was a mentor to many Oahu officials (George Gusman, Frank White, Jim Beavers, Mel Quartero, Rhys Amimoto, Tony Baysa). Roy played football at ‘Iolani in 1935 and 1936 under coach Father Kenneth Bray and was a longtime supporter of the ‘Iolani football program. Roy Chong’s legacy is one of strict adherence to the rules, fair play, support of officials, respect from coaches and AD’s. Football officials still refer to “Chongisms” as they work their games. In 1990 Roy was honored to receive an OIA award for 20+ years as OIA Commissioner. In 1952 Earl Galdeira began officiating football and for 52 years he worked youth, high school, college and professional games. During his career, he was an official for both ILH and OIA games. He worked college games from 1959 to 1987, was the referee in Hula Bowl games for 30 years and worked professional games for 2 years. Earl was known as the #1 football official in Hawaii and his presence on the football field was legendary. High school officials were often mesmerized by his participation on the crew. His quote before each game as the referee to the crew was, “Let’s make history,” and that always set the tone for the crew to do their very best on the field. He was always willing to share his knowledge and experiences and would provide post-game reviews at his Moanalua home with officials. As a friend and mentor to many officials, Earl helped other Oahu officials move into the college ranks. One of Earl’s legendary exploits, seen around the nation on TV, was in the 1970 Hula Bowl when a fan came onto the field, picked up the game ball and raced for the Diamond Head end zone…with referee Earl in hot pursuit for the ball. 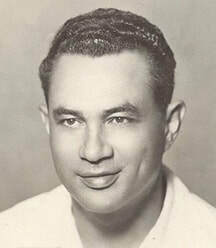 Earl was a 4-sport athlete at Kamehameha, Kapalama, class of 1945. He retired from the Hawaiian Telephone Company as a Supervisor after 42 years of service and there were many officials from the telephone company because of him. He was married, a father of five and grandfather of eight, including Kyle Galdeira who officiated for several years with the OIA. Kyle’s presence, stature and commitment to the game reminded many officials of Earl. Very active in the community, Earl served 4 terms as President of the Honolulu Quarterback Club. Two local awards have been named after him; one from the Honolulu Quarterback Club and another presented by the Hawaii Chapter of the National Football Foundation College Hall of Fame. In 1996 Earl was inducted into the National Football Foundation College Hall of Fame for officiating in New York City. 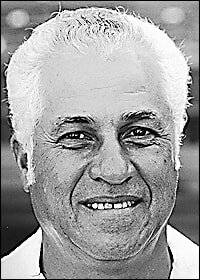 Earl Galdeira passed away in 2006.
International Softball Federation (15 years). Leilani has served softball community through her leadership as President of the Wahine Amateur Softball Association an organization organized to provide girls with the opportunity to further their lives through softball. She has also served as coach and administrator of various softball teams that have traveled internationally. Her coaching career began in 1980 with the Hawaii Bobby Sox League, working her way up to Volunteer, Assistant and then Head Coach of McKinley High School Varsity Softball team from 1996-2014.
as an announcer and scorer, among other volunteer duties. 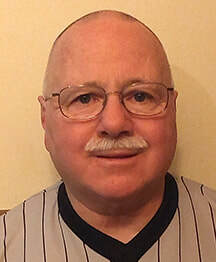 Patrick Tanibe has been involved with basketball officiating for over 50 years. He started his long and illustrious career while serving in the United States Air Force, stationed at Misawa Air Force Base in Japan. When he returned to Hawaii, he continued to officiate recreational and high school basketball. During this time, he received outstanding instruction and mentoring from key local officials. In the early ‘70’s, when the University of Hawaii was beginning to develop a Division I basketball program, Pat began officiating DI and was hired by the Western Athletic Conference staff for men and by the Big West Conference staff for women. In addition to his NCAA schedule, he continued to officiate rec and high school games. With the start of the Hawaii small colleges conference, he added NAIA basketball, which later became Division II, to his schedule. He was selected to officiate in the NAIA national championship tournament in Kansas City, MO, for 3 years in the 1990’s and was also selected to work the Big West Women’s Basketball Championships for three years. Pat was also honored to work numerous HHSAA championship games and officiated in the Maui Invitational Classic as well as 10 years in the Rainbow Classic. He was part of the crew that officiated the University of Virginia/Chaminade University basketball game, considered one of the greatest upsets in college basketball history. Pat was recognized by the Honolulu Quarterback Club with the 2009 Earl Galdeira Award for contributions to the sport of basketball. He has served as the league director for the Hawaii NCAA Summer Basketball League for 35 years. This position enabled him to assign and mentor young officials in a quality league filled with current and former college players. Many high school and college officials worked games in the league under Pat’s mentoring. Over his career, he has served as an officer in his local association. He has conducted numerous mechanics clinics for high school and prospective college officials. Many of the top high school and NCAA officials have had their skills greatly improved by Pat’s guidance. Ray Verdonck officiated high school wrestling for 36 years and served the Hawaii Wrestling Officials Association as Vice President for 13 years and Treasurer for 3 years. He officiated both Freestyle and Greco Roman wrestling. He officiated one college wrestling dual meet between BYU of Provo and Utah at Iolani High School. Ray has officiated in over 30 HHSAA state championships and for 30 years officiated the 1st place matches of the tournament. He is currently an evaluator for Hawaii Wrestling Officials Association. Ray has served as a judge for Powerlifting for 36 years and in 1983 became a national powerlifting certified judge with the United States Powerlifting Federation and in 1985 became a world certified powerlifting judge with the World Association of Benchers and Deadlifters. In 2012 he was honored by the OIA as a wrestling official for 20 years of service to the OIA and our student athletes. In 2017 Ray was presented the NFHS Service of Excellence Award in recognition of outstanding achievements as a wrestling official with years of dedicated service to the sport of wrestling in the state of Hawaii. Now retired from working actively on the mat, Ray continues to volunteer his time as an evaluator of officials for the association. He also assists with the training and development of new wrestling officials. At age 14, Frank White began umpiring slo-pitch softball games which he did until age 20. While coaching football and track at Cathedral High School in Southern California, he was a track starter for 2 years. 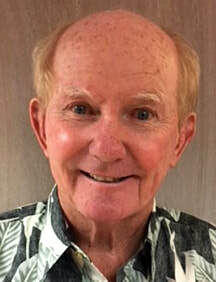 After moving to Oahu, he responded to a newspaper ad placed by Roy Chong asking for new football officials and in 1971 began his football officiating career. He became a high school JV referee for the OIA the following year and became a Varsity referee in 1975. Frank worked his first college football game as a line judge in the 1978 Hula Bowl and in 1979 worked 3 non-conference games for the University of Hawaii. He was the referee in the 1979 Prep Bowl for the OIA and he was the referee in the 1980 Prep Bowl for the ILH. In 1985 John Adams, Supervisor of Officials for the Western Athletic Conference, came to Hawaii to observe officials and hired Frank to join the WAC staff. He worked a full schedule in the WAC as a back judge in 1986, beginning a 25-year career as a Division I official, 10 years as back judge and 15 years as referee. During that time, he worked 13 major bowl games, 10 as referee. Frank also worked 5 years as referee in Arena Football, including the 2004 Arena Cup Championship Bowl game. 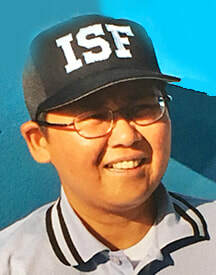 Frank has been a mentor for many young officials over the years, served as president of the ILH Officials Association for 5 years and has hosted many end-of-season parties. He has been a major contributor to the International Aloha Football Officials Clinic, hosting events and serving as clinician. Frank also played polo for 10 years on Oahu. Hide Yamashita loved baseball and started umpiring before he began playing, in 1930 at Kauluwela Park in Honolulu. He umpired in the AJA softball junior league in 1934, the year he began playing softball for the Honganji team and in the city-wide league. He umpired games in the city-wide league and was mentored by Red Zimmerman from Honolulu Sporting Goods. In 1936 his career as a ballplayer took off as he played for the AJA softball and as a high school junior he joined the Saint Louis team the year they became league champions and he joined the Asahi and Seibu teams in the Hawaii Major and AJA leagues. He was drafted into the Army in 1940 and played for the 100th Battalion’s “Aloha Team” in 1942-43. Returning from WWII, he played for the Asahi team in the Hawaii Major League and coached the Sheridan and Palama teams in the AJA league before returning to officiating. He umpired in the AJA league for many years, traveling from is Kailua home to the plantation towns on Oahu that had teams – Aiea, Pearl City, Wahiawa, Waialua, Haleiwa and Waianae. He also worked games in the Hawaii Major League, calling games in Honolulu Stadium and on the military bases on Oahu. something of a legend, umpiring NCAA games into the 1990s. Beginning in 1992, he also started umpiring Wahine softball games up until 2010. He umpired his last game in January, 2010, at the age of 92. He passed away in 2011.
call-by-call, the good ones and those missed. Hide received many honors during his distinguished career, most of which his family does not remember as it was not his style to keep a list of accomplishments. In handwritten notes, he wrote that he was honored to umpire certain big games such as when Roy Campanella’s Dodgers-Yankees all-stars came to town. He was also asked to call the first baseball game played at Aloha Stadium. Many of today’s veteran umpires will tell you Hide Yamashita is the one they learned from, the one who was passionate about his officiating and the one who did things the right way.